This template lets you easily create stunning image galleries to showcase your work. 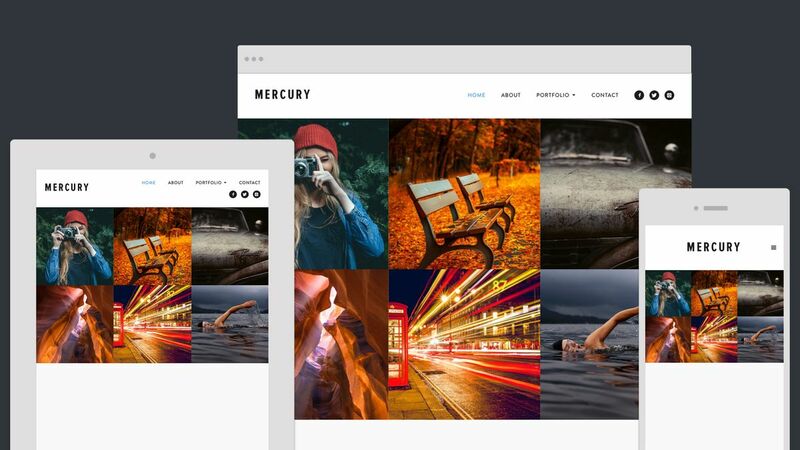 With a sleek design and minimal layout, Mercury is perfect for those with great photos and minimal content. Popular with Designers, Photographers and Artists who are ready to show their portfolios to the world.